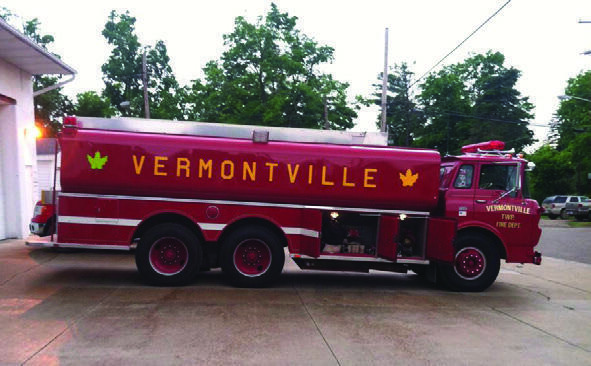 After 24 years of faithful service, the Hand-in-Hand Fire Company sold the 1990 Tanker to the Vermontville Fire Department in Vermontville, Michigan, a town 30 miles southwest of Lansing. The tanker was so well maintained over the years that the Fire Company was able to recoup one-third of its original 1990 purchase price. 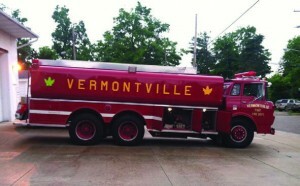 Vermontville’s old tanker, which was made from an airport fuel truck, was replaced in July with our 1990 Tanker. On July 26 the tanker was driven 600 miles to its new home in Michigan. There the Fire Department will shorten the front bumper so that it fits into their fire station. They plan to use it as a nurse tanker for the next 10-20 years. One of the last times it was used by Hand-in-Hand was at the July 12 fire at the Bird-in-Hand Family Inn. Five years ago, as we were rethinking our financial planning, we promised to be responsible stewards with our community’s donations. We wanted to get our financial house in order and be better prepared for future major purchases. Now with your tremendous support, and without a major fundraising campaign, we paid cash for the new tanker. Mission accomplished! As our country went through a recession beginning in 2008, there was a major shift in financial foresight at our Fire Company. We discovered the virtue of patience. Instead of buying immediately and then always playing catch up, we chose to wait four years until we had saved all of the necessary funds to pay for the tanker in cash. The life of our 1990 tanker has been extended by four years past its replacement year of 2010. With constant checks and meticulous maintenance, the tanker has been well maintained and has given great service. Perhaps the tanker can even find a second life in another rural community where the demands are not as great. We consider this good stewardship. 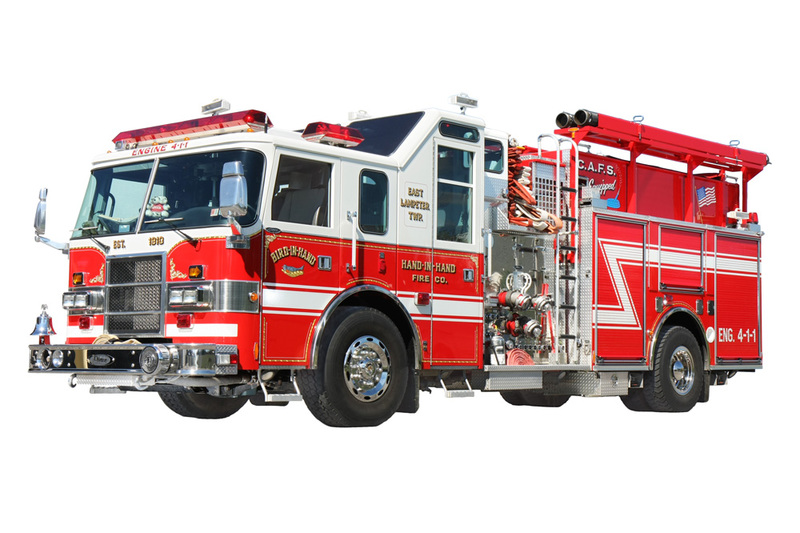 A “tanker” is a fire truck that supplies water at a fire scene. It sends water to the fire trucks that actually attack the fire. Our 1990 tanker is showing its age… but we have used it very successfully over the years to help squelch fires, so we are replicating its basic design! The new tanker will feature 4,000 gallons of water, a completely enclosed cab for firefighter safety and comfort, and more horsepower to conquer the hills when we assist neighboring fire companies. 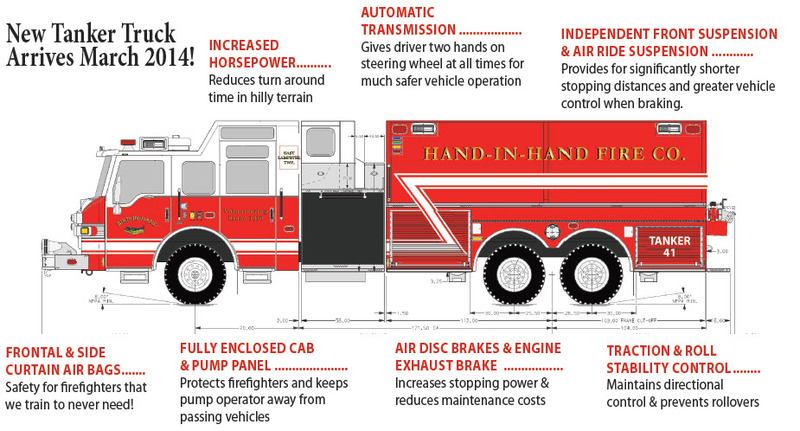 Watch for an informative brochure this fall that introduces this new piece of firefighting equipment! A Tanker Committee (composed of Chairperson Ephraim Stoltzfus, Dan J. Fisher, Lance Watt, Christ Stoltzfus Jr., Lonnie Kauffman, Steve Petersheim, and Doug Glick) has been formed with the goal of replacing our 23-year-old Tanker 4-1 by the end of 2013. The committee members have established specifications for a new tanker and are currently evaluating bids. Since the present tanker has lasted long beyond the 20-year expected service life of fire vehicles, it is timely to explain how we maintain and care for our Fire Company vehicles. Firefighter Lance Watt gives an average of 10 hours a month to preventive maintenance and repairs. By trade he is a forensic engineer who investigates commercial vehicle incidents that contribute to crashes and the cause of fires. Well qualified, he is a mechanical engineer, ASE certified medium- and heavy-truck technician, and a licensed inspection mechanic. At the Fire Company he has served on the Board of Directors, is a Fire Police Officer, is certified to operate all vehicles, and helps with the training and certification of new drivers. Because of the terrific community support the Fire Company receives for our fundraisers, we are well positioned financially to properly maintain our vehicle fleet at the highest level. Our generous Bird-in-Hand community enables us to get the maximum life and service from our vehicles and stands with us when they become due for replacement.